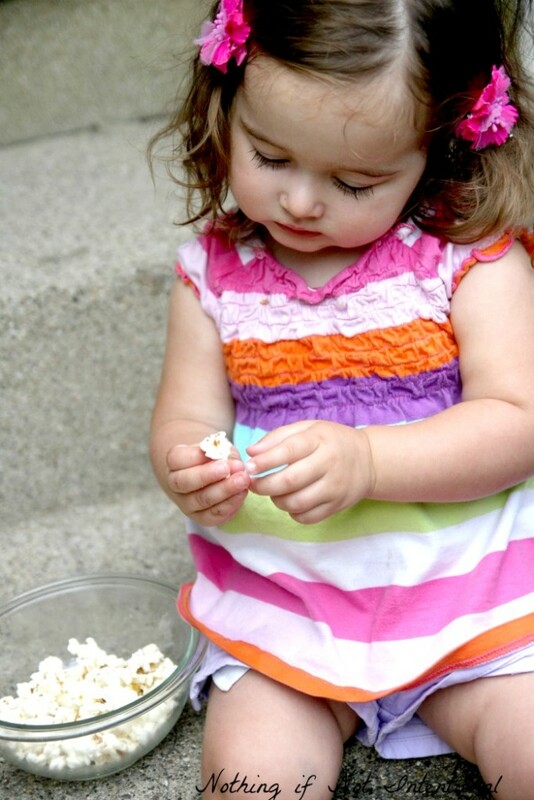 Okay, so now that you have your perfect popcorn popping app, you’re ready for movie night. Our girls are young (almost two and almost four), so “movie night” is actually just twenty minutes of screen time for big sister while I put the toddler to bed. I’m ridiculously strict fairly cautious when it comes to screen time, so for now we only let our preschooler watch shows that have been 1) recommended by someone we trust and 2) available through an online streaming service so that we can avoid commercials. 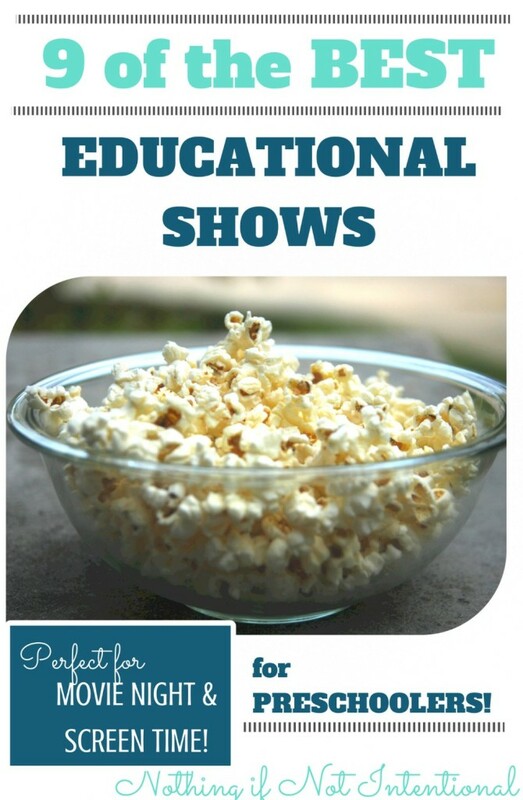 Based on our experience with what our daughter affectionately calls “scream time,” here are the (somewhat) educational shows we’ve determined are best for preschoolers. As you may have gathered, I use the terms “best” and “educational” loosely. As are a lot of preferential lists, this one’s subjective! Daniel Tiger’s Neighborhood. If I had to choose just one show for our preschooler to watch, it would be Daniel Tiger. It’s loosely based on the “Neighborhood of Make-Believe” that I remember from when I watched Mister Rogers back in the day. Each episode deals with a social or emotional situation that a preschooler might face on any given day. The repeated song in each episode drives home the motif and can be repeated the next time your child is in a tough situation in real life. (I can’t tell you how many times I’ve sung, “When you get real mad and you wanna ROAR, take a deep breath and count to four!” to my child! If nothing else, it’s good for distraction.) I may or may not change it to “really mad” when I sing. Super Why. This show is definitely educational. In each episode, the fairy tale characters invite the “Super Readers” in the audience to help the characters use a book to solve a problem. Not too surprisingly, research suggests that Super Why helps children to learn basic literacy skills like letter sounds and reading comprehension. The English major in me adores this show. Dumbo, Fox and The Hound, and Winnie the Pooh. Netflix recently added some of the older full-length Disney movies to its streaming service. I know that Frozen is all anyone can talk about these days, but I much prefer the older shows for my girls. Winnie the Pooh is our daughter’s absolute favorite show. And even though I’ve watched it a dozen times, I can’t find anything in it to complain about (other than the dream scene may be a little scary for some little ones.) Similarly, Dumbo is a recent favorite for us. How sweet and sad is the song “Baby Mine”? Sesame Street. 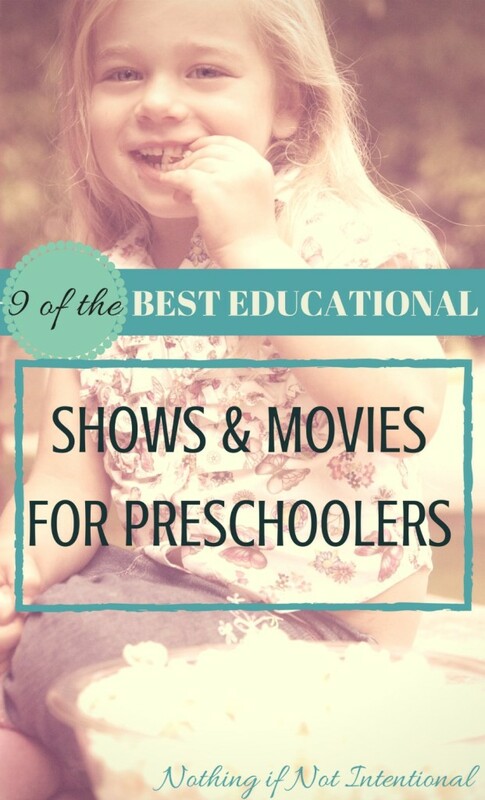 How could I make a list of educational shows for preschoolers and NOT include Sesame Street? It’s the original preschool learning show! Some research suggests that children who watch Sesame Street regularly have a 16% higher grade point average in high school than children who didn’t watch it! Sid the Science Kid. Fair warning: the “Looking for Friends” song will get stuck in your head for days and days and days. We’ve watched a few free episodes on YouTube, and I like the science themes and lessons. I should mention that I felt like the one episode about the flu shot and vaccinations got a little political and preachy. However, I bet I’m just being overly sensitive! The Magic School Bus. We haven’t watched The Magic School Bus with our daughter(s) yet, but I remember it from my childhood! This show encourages curiosity and project-led learning in kids ages three to ten. Some themes that are covered include the five senses, the water cycle, outer space, and ancient Egypt. As the show says, “Let’s take a closer look.” A new version of the show called The Magic School Bus 360 plays on Netflix. Documentaries--nonfiction can be fun! Okay, so maybe your preschooler won’t make it through a full feature-length documentary, but it’s perfectly acceptable to break them up into smaller chunks. There are several Discovery channel shows available on Netflix. Leap Frog–This is another series on our to-watch list. Episode topics include phonics, math, numbers, and the alphabet. Sounds educationally promising, right?